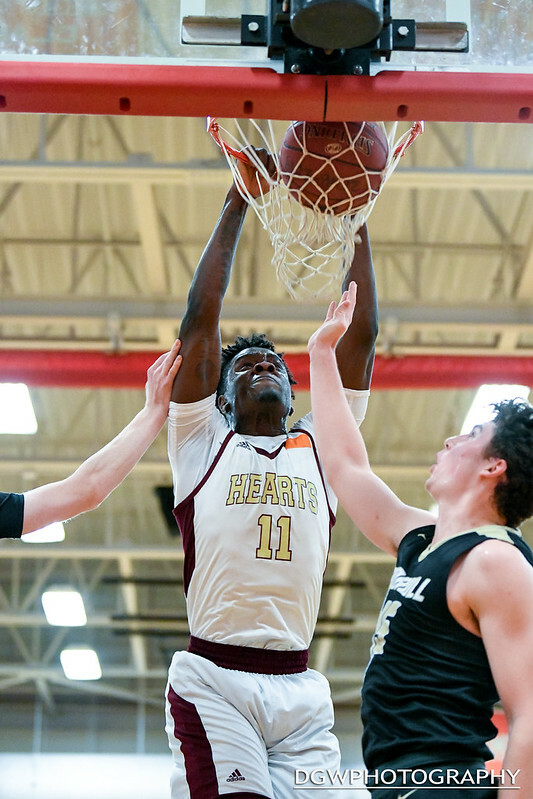 Sacred Heart’s Jamaal Waters dunks over Trumbull’s Chris Brown during Monday nights CIAC Division I quarterfinal game. Trumbull stunned No. 1-ranked Sacred Heart, 73-66, to advance to the semi-final round.